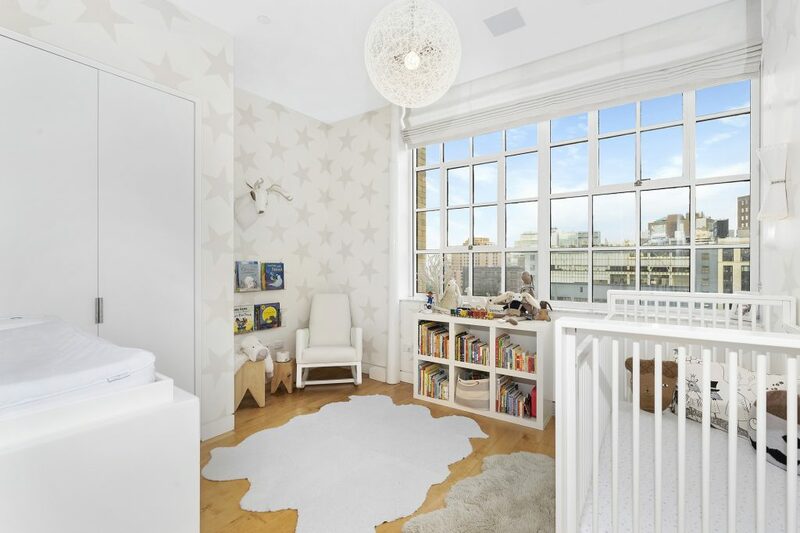 Stunning modernity and historic proportions define this flawless 3-bedroom, 3.5-bathroom loft home in a full-service Tribeca condominium. 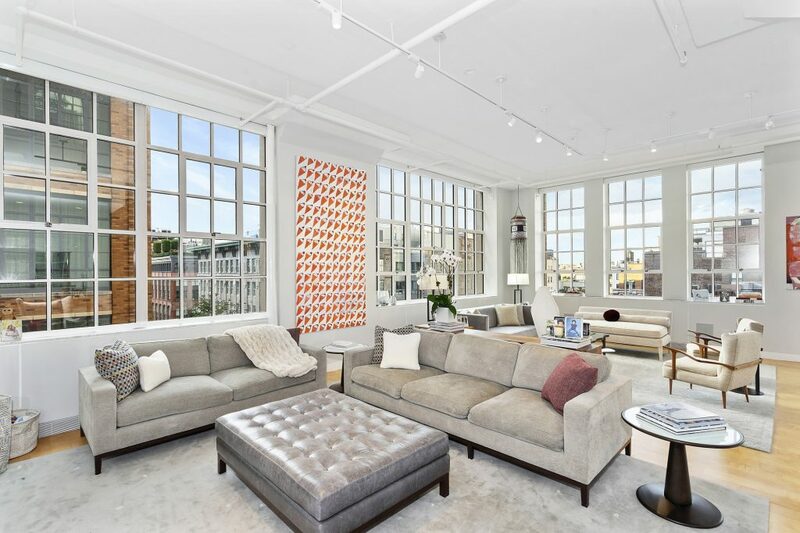 Envision gracious entertaining surrounded by sunset views over the Hudson and the sights of historic Tribeca in this nearly 3,300-square-foot home's sprawling great room. 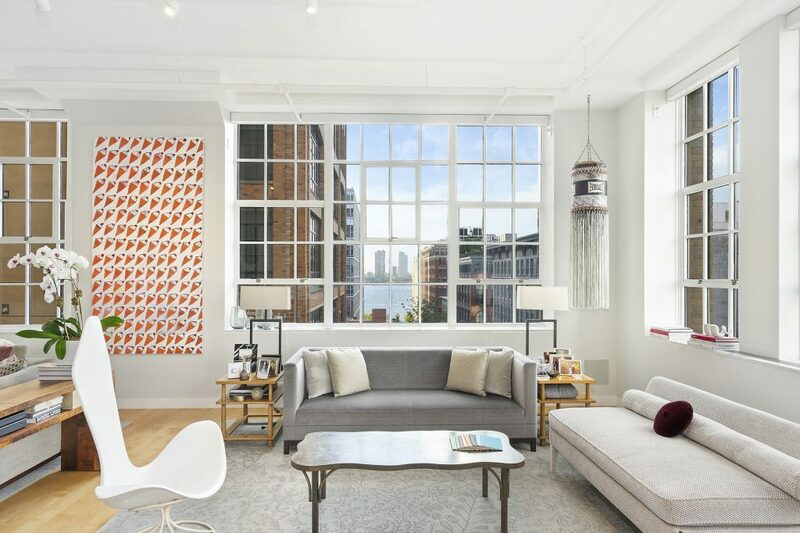 Wrapped in massive white casement windows facing north and west, you'll enjoy all day sunshine while gleaming wide-plank hardwood floors and soaring ceilings root the loft to its historic industrial origins. A huge entry closet and powder room add to the home's inviting convenience, and the large chef's kitchen accommodates both culinary skill and storage with top-of-the-line stainless steel appliances, rows of contemporary wood cabinetry, a large pantry, granite countertops and an extra-long breakfast bar. 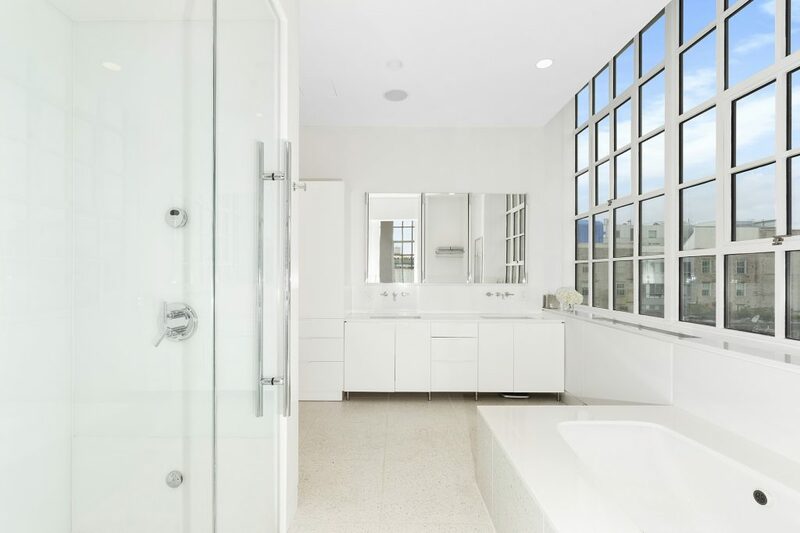 For picture-perfect serenity, head to the master suite where open-sky and city views surround a large bedroom, walk-in closet and ultra-modern, white-on-white en suite bathroom with double vanity, soaking tub and frameless glass shower. 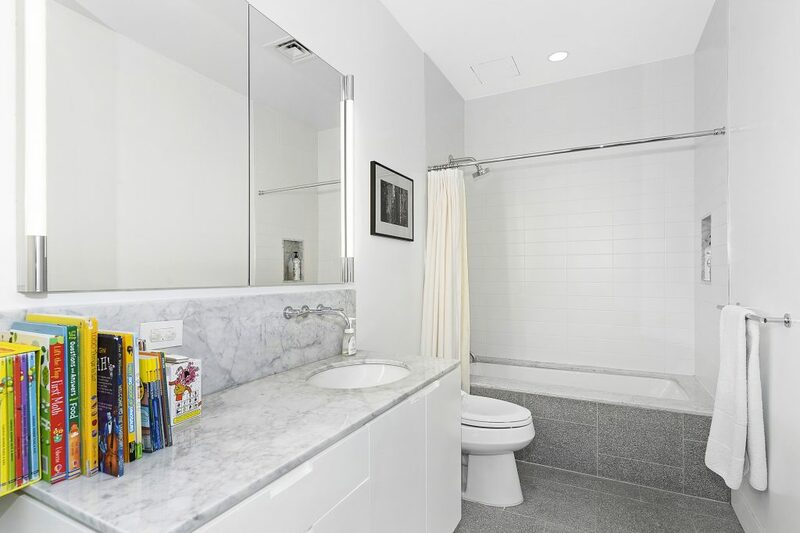 A second bedroom suite includes its own private bath and roomy closet, and the third bedroom is positioned directly across from a third full bathroom and large laundry closet with in-unit washer-dryer. 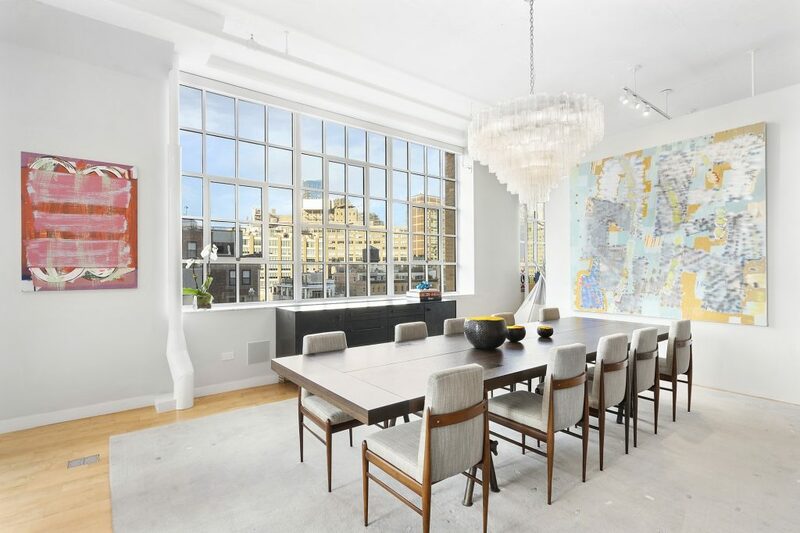 Custom wall coverings and designer light fixtures set a chic tone in this immaculate Tribeca loft. 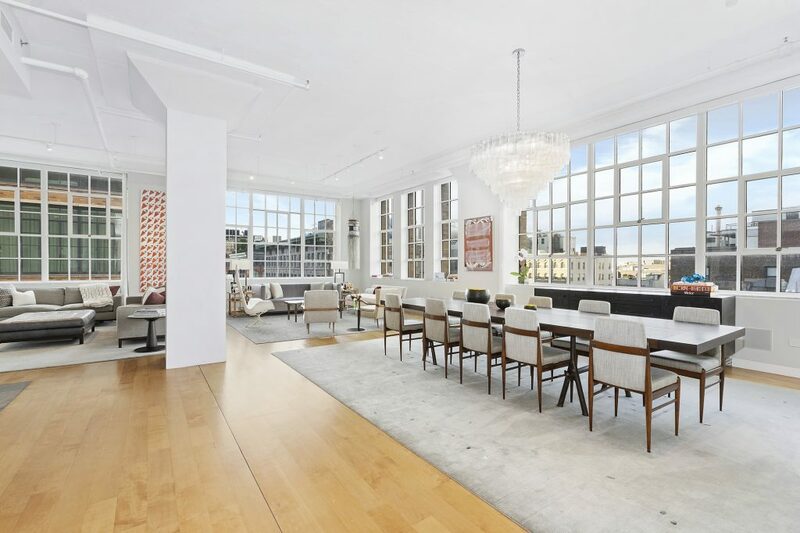 Located in the Tribeca Historic District, The Sky Lofts at 145 Hudson is set within a stunning 1920s industrial building with ample Art Deco details throughout. 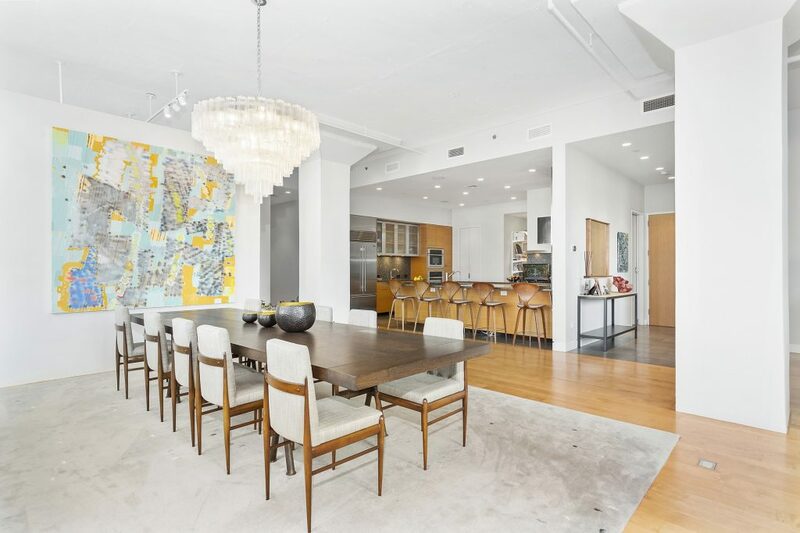 Converted to condominium use in 2000, residents of the pet-friendly building enjoy 24-hour doorman service and a stunning roof deck with panoramic views. 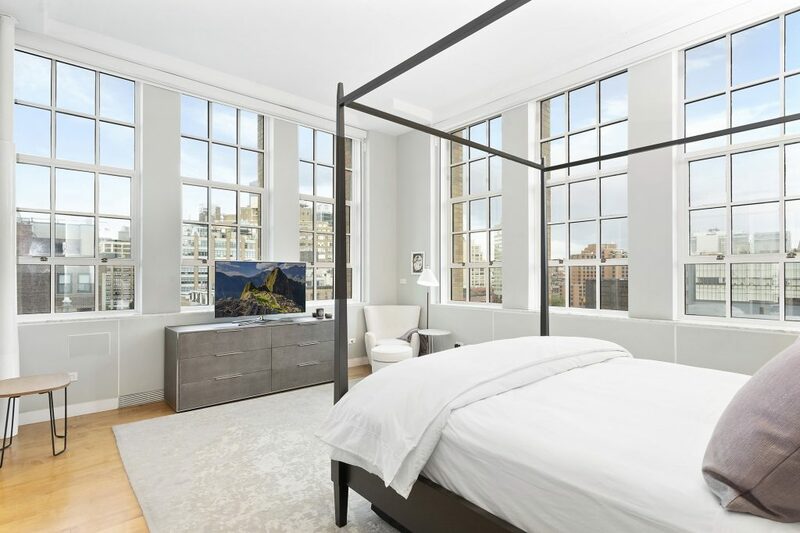 Here, the best of Tribeca living is right outside your door, including world-class dining and nightlife at Frenchette, Locanda Verde, Mr. Chow and Estancia. 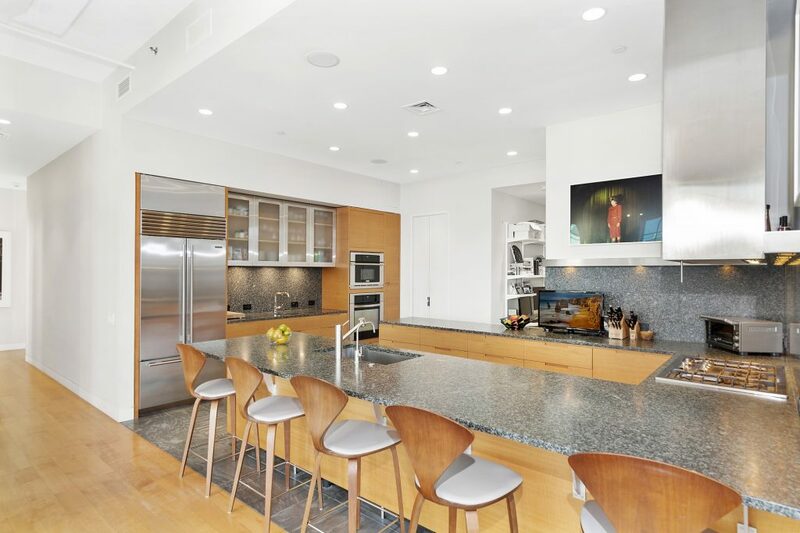 SoHo, Hudson Square, Civic Center and FiDi are within easy reach, and nearby Hudson River Park provides more than 500 acres of waterfront outdoor space and recreation. 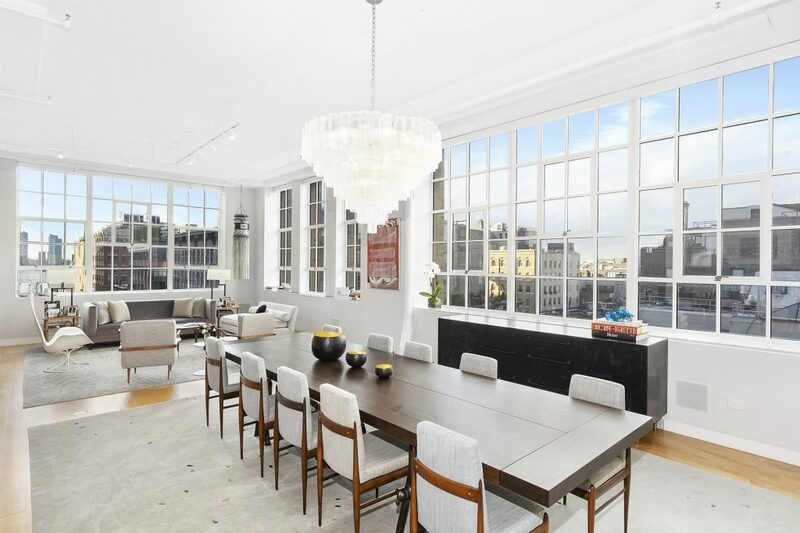 Transportation options are abundant with A/C/E, 1, N/Q/R/W, J/Z and 6 trains all within reach.